An entertaining before-and-after book which depicts eight uniquely illustrated sequences. A grumpy looking cat goes from dirty to clean with just the turn of a page. A girl with pale skin is out in the sun, but the turn page and she is sunburned. A father and son are on a rollercoaster, open the double-pages, and we seem them during the ride, and then laugh at dad’s shocked expression after the ride has finished. Each sequence is funny and imaginative. 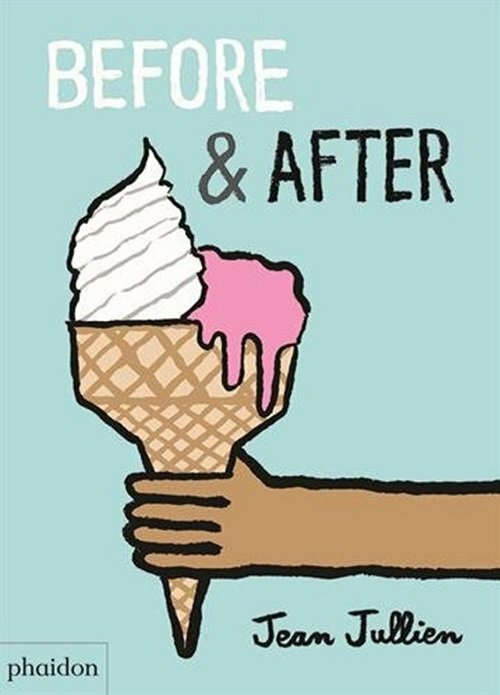 Children will love predicting what will happen on the next page while learning the temporal concepts of ‘before’ and ‘after’. For further language goals to target in ‘Before & After’, see the list below.